70% Jesus. . Wallpaper and background images in the Atheism club tagged: atheism jesus facebook funny percent 70 christianity logic. 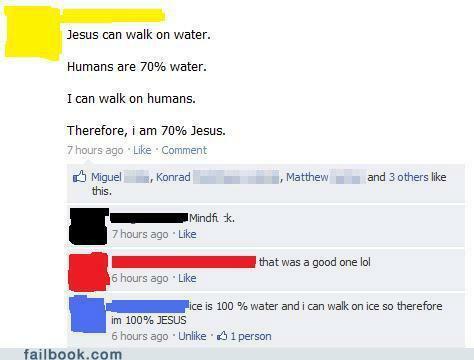 Ice isn't technically 100% water but still. WIN!